Following the christening, he was to stay in command of Eurodam for the next five years. While other captains would assume command while he was on leave, Captain van Donselaar was the ship's primary captain and thus played a key role in shaping the ship and the cruise experience that she offers during her most formative period. As he neared the completion of his last contract on Eurodam before talking command of another ship, I asked him to speak about Eurodam. 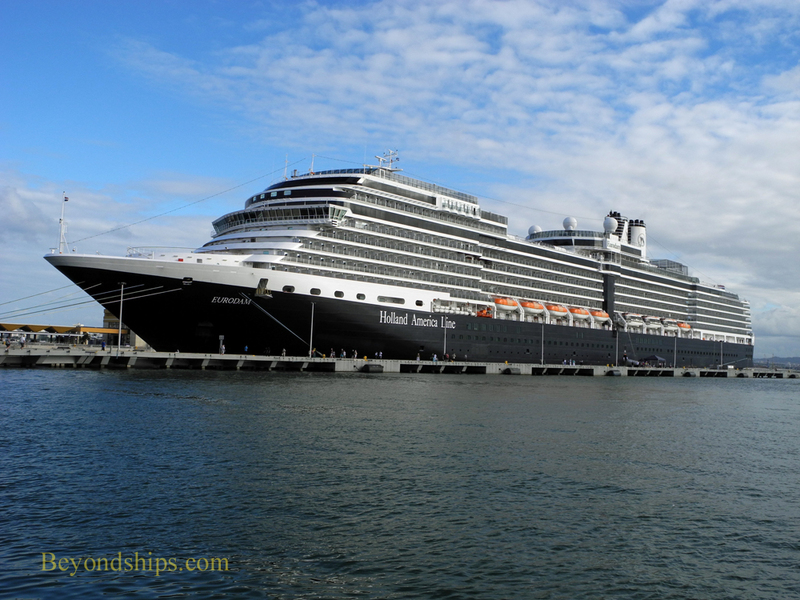 Eurodam was the first ship built in Holland America Line's Signature class of ships. This class was designed to incorporate all the elements of the line's Signature of Excellence program under which the line's existing fleet had been enhanced as well as everything HAL had learned about cruising up to that point. The Signature class ships are an outgrowth of HAL's popular Vista class (Zuiderdam, Westerdam, Oosterdam and Noordam). However, Captain van Donselaar is quick to point out that Eurodam and her sister are not Vistas. For part of the time that Eurodam was being built, another ship was under construction at the Fincantieri shipyard near Venice, Italy. The other ship was to become the Queen Victoria of Cunard Line. She too was an outgrowth of the Vista design and so there is a family resemblance. However, the Victoria was built with a lengthened hull. Captain van Donselaar foresees similar enhanced sea-keeping properties for the new ship HAL has on order with Fincantieri. This personality is a product of the ship's history - - where it has been and what it has done - - plus the personalities of the people who serve on her, not only now but also those people who brought the ship into service. On Eurodam, a genuine friendliness characterizes the ship's personality.